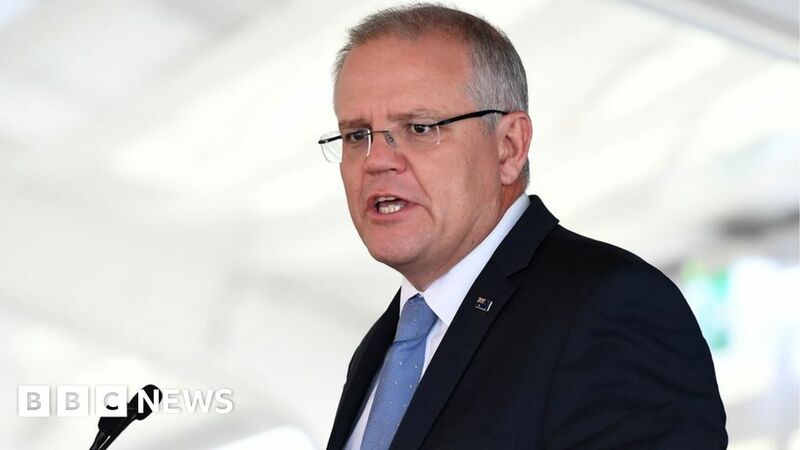 Australian Prime Minister Scott Morrison has called for global restrictions on social media following the Christchurch mosque attacks. Facebook and other firms have been criticised for failing to block a live-stream of the attack. In a letter to Japan’s Prime Minister Shinzo Abe, who chairs the G20, Mr Morrison asked for leaders to discuss the issue at the upcoming G20 meeting. On Friday, twin shootings at mosques in Christchurch killed 50 people. The gunman filmed the attack and the live-stream on Facebook lasted for 17 minutes. In a statement on Monday, Facebook said the video was viewed fewer than 200 times during the live broadcast, and about 4,000 times in total before it was removed. It said the first user report on the original video came in 12 minutes after the live broadcast ended. Before it was alerted to the video, a user had posted a link to a copy of the video on a file-sharing site. Facebook said it deleted more than 1.5 million copies of the video in the first day after the incident. It said 1.2 million of those copies were blocked while being uploaded. In a copy of the letter posted on Twitter, Mr Morrison expressed concern over the “unrestricted role” of internet technologies in terrorist attacks. “It is unacceptable to treat the internet as an ungoverned space,” he wrote. Mr Morrison said the aim was to “agree on co-ordinated action to afford greater protection from terrorist violence”. In the wake of the mosque shootings, Westpac NZ said it had suspended all advertising on social media networks including Facebook “until further notice”. “We will be engaging with social media companies about the publishing of harmful content,” the bank said in a statement on Twitter. On Monday, a spokesperson for Lotto NZ told the BBC it had removed advertising from social media at this time “as the tone didn’t feel right in the aftermath of these events”. It comes after industry groups representing advertisers issued a statement asking their members if they wanted to be “associated” with platforms that did not take responsibility for the content being shared.